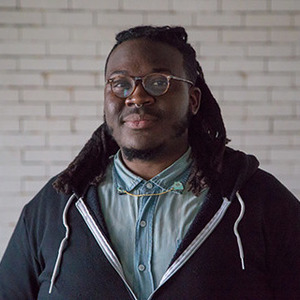 James T. Green is a conceptual artist, designer, developer, podcaster, educator, and writer based in Chicago, Illinois, U.S.A. His art practice builds upon an interest in how we interact between one another within our cul­ture. Through object making, performance, and video, his work gravitates towards our relation­ship with technology and navigating life through the black experience. His projects investigate information distribution on the internet and unspoken markers of identity. He is the co-founded and maintains two businesses: On The Firefly, a design and development consultancy, and Postloudness, a collective of audio shows by people of color, women, and queer identified hosts.